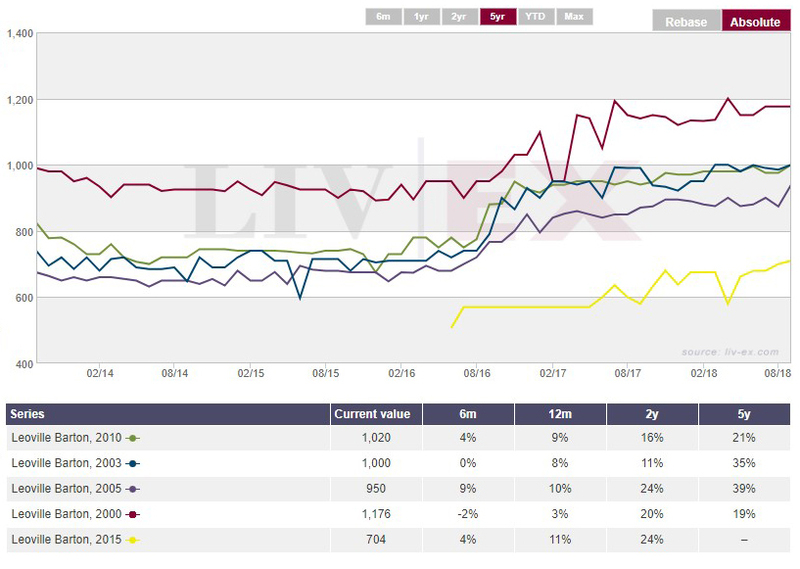 It was good to see Leoville Barton coming into focus recently having been restored to the second tier in the Liv-ex classification, further featuring in despatches as four of its more recent vintages have just made all-time highs. 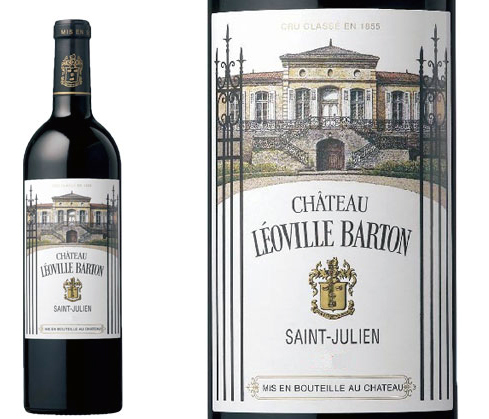 With all due respect to the Liv-ex, the Bordeaux classification of 1855 has listed Leoville Barton as a Second Growth all along, but as a producer it seems seldom to make the headlines. Its history is more interesting than it may first appear, however, and is one of only 2 classified wines whose ownership has remained in the same family since inception. Not only that, but a further little-known fact is that it has no chateau, using the neighbouring premises at Langoa Barton to make its wines. The founder of House Barton arrived in Bordeaux from Ireland in the 1720s and having made it through the French Revolution his grandson bought their first vineyards in the 1820s. The business has been handed down over the generations and is currently run by the 9th of that ilk. Keen golfers will be interested to learn that her father, Anthony Barton, Decanter Magazine “Man of the Year” in 2007, was born at the family home of Straffan House in County Kildare, now known as the K Club. One of Anthony Barton’s core principles was to keep his wines accessibly priced, which from a fine wine investment perspective presents a double-edged sword: sometimes the wines are so accessibly priced they are not worth the years of storage because racking up charges of £75 or so over 5 years on top of a wine which might only cost £500 somewhat compromises the return. Which brings us back to Leoville Barton. It sits in that part of the fine wine firmament where a Parker score in the mid 90s is pretty much as good as you are going to get. The best performers over the last 20 years have been the 2003, at 96 points, and the 2010, at 96+. The 2000 with 95+ points enjoys the customary premium. Typically the off-vintages will come in between £500 and £700 and stay under the radar as a result, scoring high 80s to low 90s. It therefore doesn’t take too long to identify a Leoville Barton prospect, and our attention is currently drawn to the 2015. This was a very good year in St Julien, and with an overall vintage score of 95 it sits alongside the 2003 and 2005, if slightly behind 2009 and 2010. At en primeur time Neal Martin waxed lyrical, in suggesting a spread of 94-96: “This is just an outstanding, classic, drop-dead gorgeous Léoville Barton that is destined to give immense pleasure over the coming years. Bravo Anthony, Lilian et al.” Lisa Perotti Brown gave it 95 when it went into bottle. As you can see it currently languishes well behind wines which are certainly comparable, and Amphora believes that over time the price differentials with its dearer sisters will erode significantly. It therefore qualifies as that rare bird: worth buying even though “too cheap” from a storage perspective. For what it’s worth we would exercise caution over heavy reliance on chartism in a relatively illiquid market, but the pattern emerging from the Liv-ex 50 might be described as encouraging. Having spent just over 3 months consolidating between 358 and 360 it is now primed for a breakout into higher ground. We note the increase in Bordeaux volumes last week on the Liv-ex platform, so maybe this is the start of the next push. Finally, we have been asked a great deal of late about the implications for the fine wine market of the current level of geo-political instability (the Trump trade wars, particularly cited), and of the Brexit impasse. Whilst we make no claim to knowledge beyond the fine wine market it seems pertinent to point to two issues.